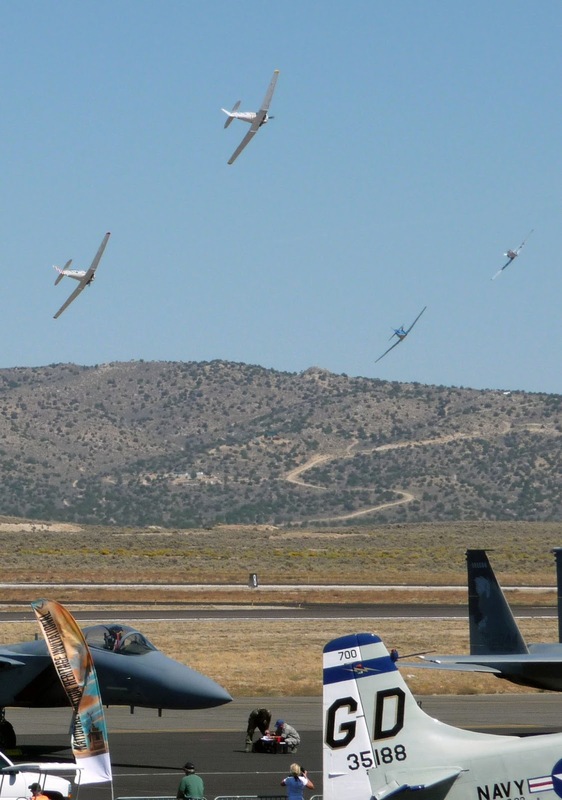 The 5 day Reno National Championship Air Races begin September 11, 2013. The annual event has been going since 1964, with one interruption in 2001 when all U.S. aircraft were grounded following the September 11 terrorists attacks. Air racing is only part of the show. 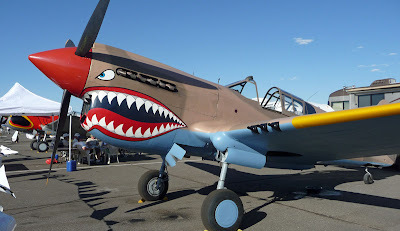 The Reno Air Races include static aircraft displays and aerial performances as well. Yves Rossy, the human “Jetman” will fly his carbon-kevlar Jetwing through the air at speeds above 150mph. Kent Pietsch will fly a comedy routine in a 1942 S-1 Cadet. The Patriots Jet Team will fly formation in their L-39 jet aircraft. David Martin will perform aerobatics in an Extra 300S. Michael Goulian will perform an airshow in his Extra 300SC. The Smoke N Thunder jet car will fill the runway with smoke, fire, and a drag race. Clay Lacey will perform in a Lear 25. Reno has 4 race courses and 6 classes of airplanes. Each race course is marked with turn “pylons”. Each pylon is a 50 foot tall telephone pole with a brightly painted “can” at the top. The cans are specifically made drums that look similar to a 50 gallon oil drum. Officials are stationed at each pylon to ensure that each airplane flies outside the pylon. The slowest racing classes include WWII T-6 trainers, Biplane Class, Formula One Class and Sport Class. The fastest racing classes (Jets and Unlimiteds) reach speeds in excess of 500mph. The races start Wednesday and end on Sunday. I like attending the races during the week to avoid the crowds on the weekend. The show performers and static displays are the same every day. The racing heats and qualifiers are as interesting to me as the finals on Sunday. Purchase tickets on the Air Race website or at the gate. General Admission does not include a seat, but there is plenty of seating before Saturday and Sunday.